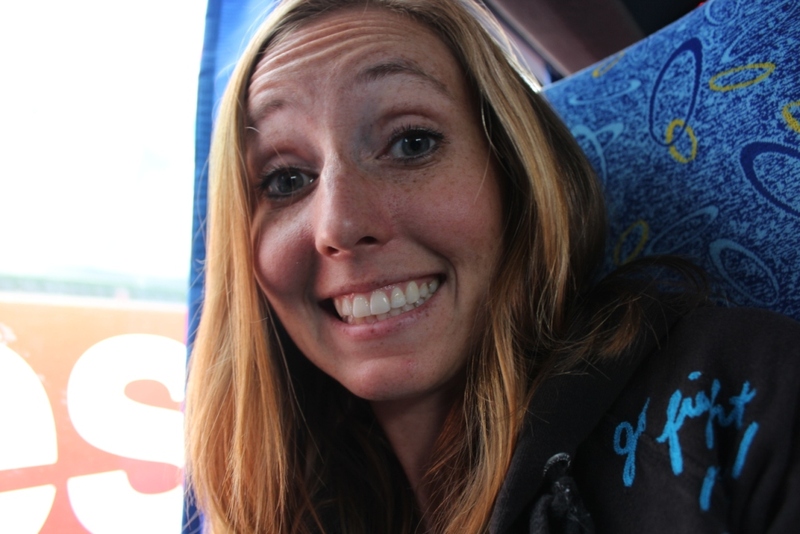 This is my so-excited-to-see-penguins face. Obviously. So, penguins. 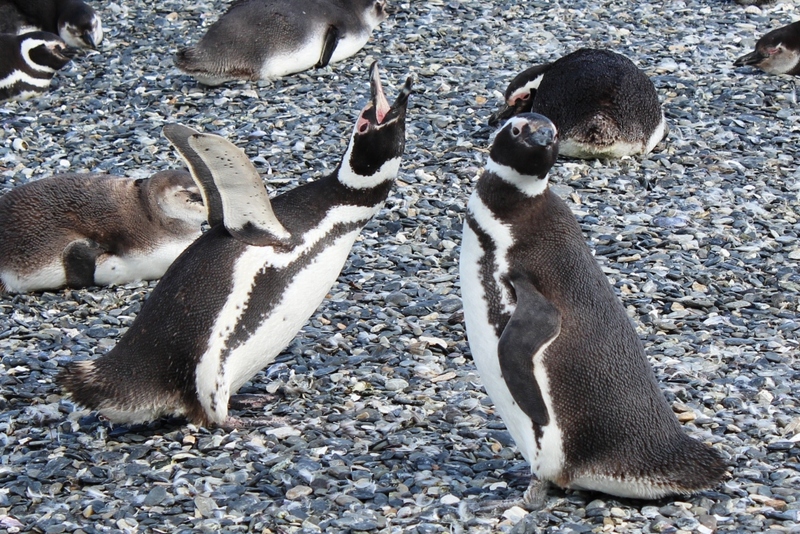 Guys… penguins. 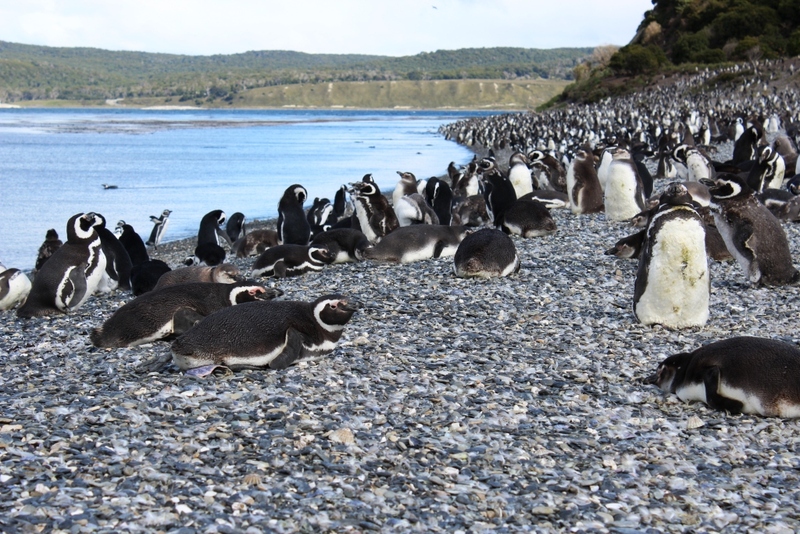 We rode on a bus and then we got off of that bus and got onto a boat and then we got off of that boat and found ourselves standing on a beach with hundreds and hundreds of penguins. Penguins!! It was a day that we have been talking about for months since first reading about the opportunity to walk with the funny flightless flocks. We were two of the twenty in our group on a touristy tour if ever there was one including matching green lanyards and a friendly bilingual guide named Leo on the bus’ microphone. Departing from an office near the tourist dock (where the cruise ships pull into town), our bus traveled northeast along the smooth Ruta 3 and then southeast on the winding, hilly, gravel Ruta J (we imagine this part would have been far more enjoyable if we had had just a tiny bit less wine the night before) before arriving at Estancia Harberton (in English, Harberton Ranch). 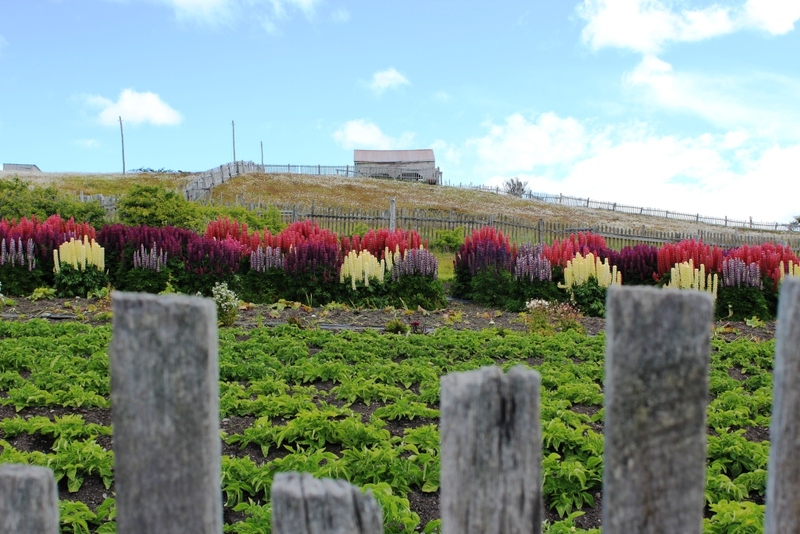 The land on which the ranch sits was donated to an Englishman turned Argentine citizen named Thomas Bridges* in 1886 and is run today by his 4th generation great-grandson. 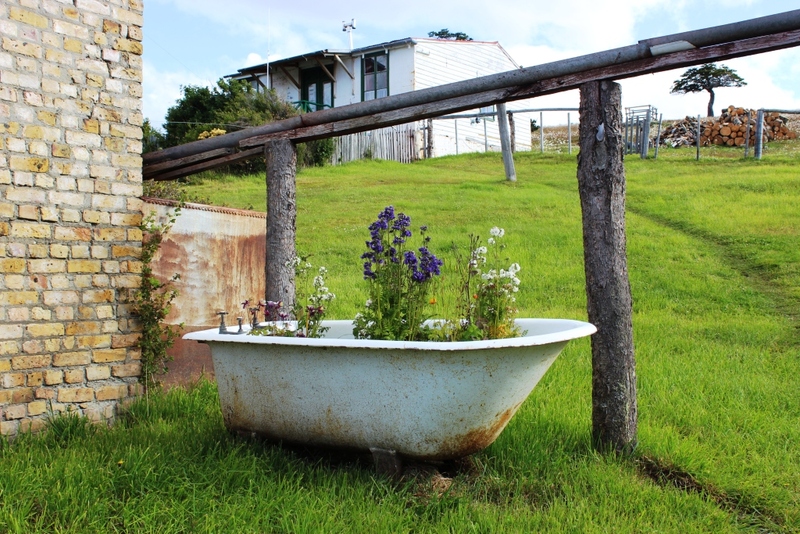 Original buildings are still maintained at the ranch though the majority of their use has transitioned from livestock to tourism. *Interestingly, Thomas Bridges was an orphan found on a bridge in England and then taken by his adoptive missionary parents to the Falkland Islands when he was 13. It was here that we climbed off of our giant bus and onto a well kept and very dry boat for a twelve minute hop to Isla Martillo. The island, which is also part of the ranch, was used for Harberton livestock until the 1960s. In their vacancy, penguins moved in. 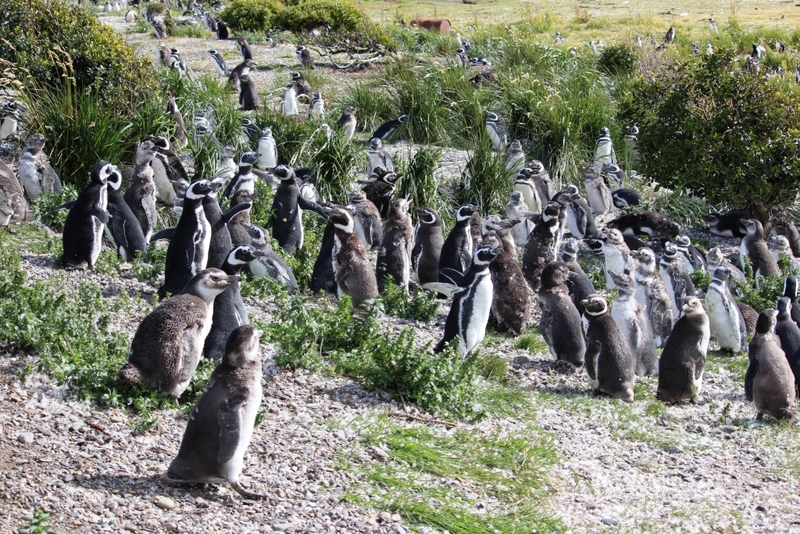 The colony has grown to more than 3,000 pairs in recent decades (that’s over 6,000 penguins for our math-challenged friends), and they return Martillo each year from October to April for mating season. 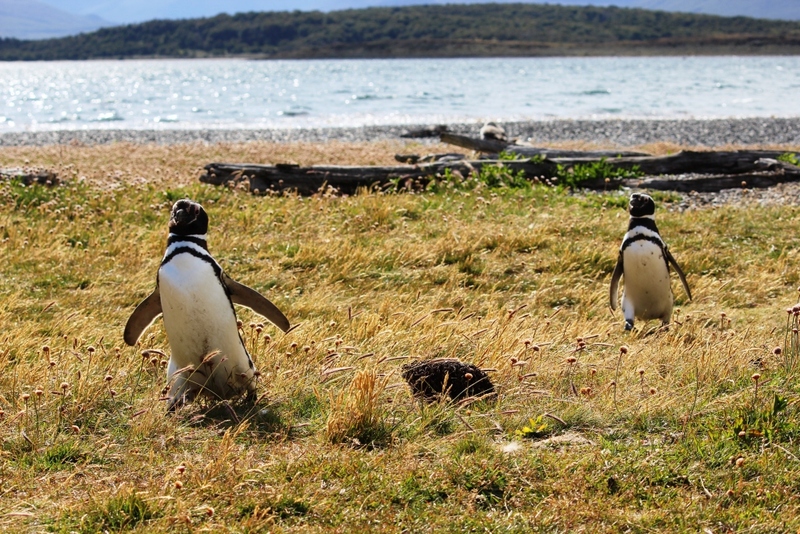 Because Isla Martillo, also called Yécapasela Reserve, is the natural habitat for these penguins, measures have been taken to ensure that disturbances are minimized while still allowing for observation. 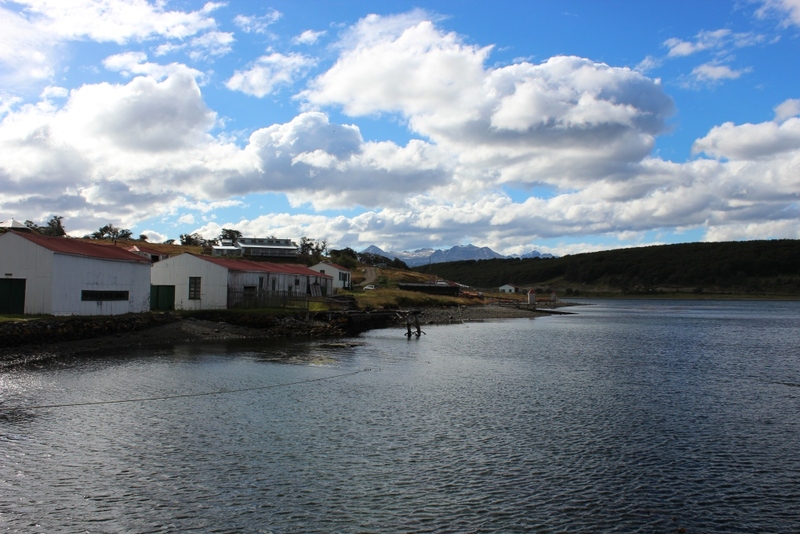 Four groups of twenty people are permitted onto the island each day, with a guide only, arriving from Harberton Ranch only, and with a strict no touching policy. While that may seem disappointing at first, it was really quite intuitive upon arriving, in my opinion, to respect the animals as we walked quietly through their home. 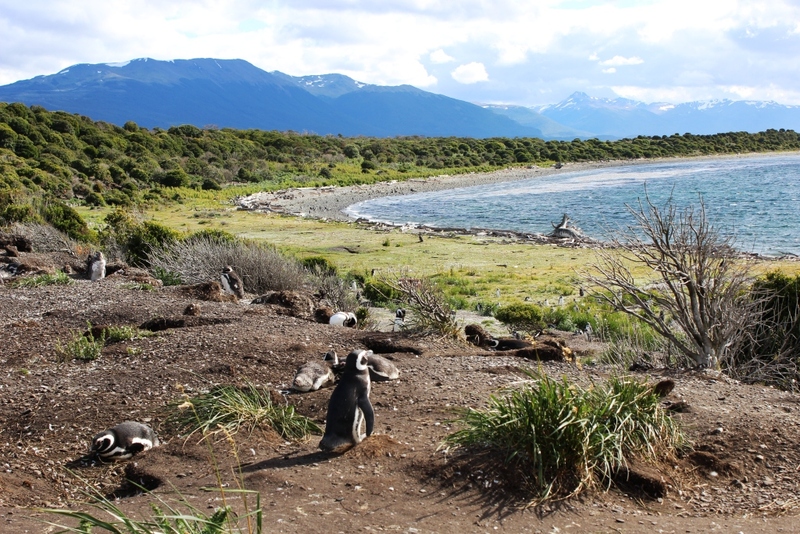 On Isla Martillo we had the remarkable privilege of seeing three different species of penguin in their natural habitats. 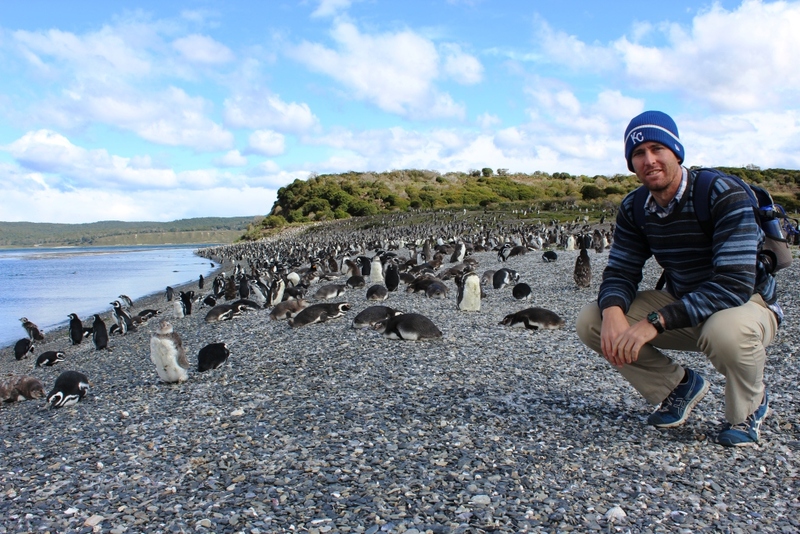 The majority of the penguins (Harberton reports 3,000+ pairs), were Magellanics, silly, medium-sized, black and white dudes that are considered a threatened species due to oil spills in Argentina that kill 42,000 of them each year. 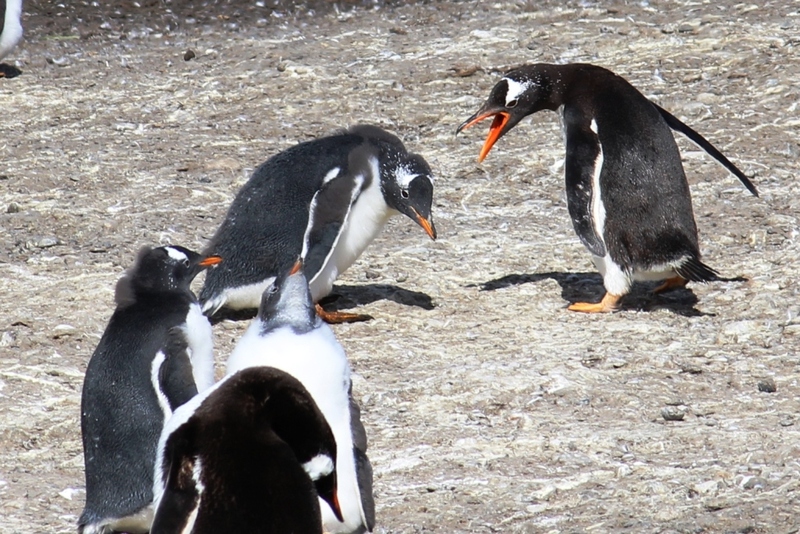 Interspersed among them were a dozen or two (Harberton reports 16+ pairs) Gentoo penguins, which were notable for their bright orange beaks and are the third largest species of penguins. The third species surprised us entirely as we had in no way expected to see them. 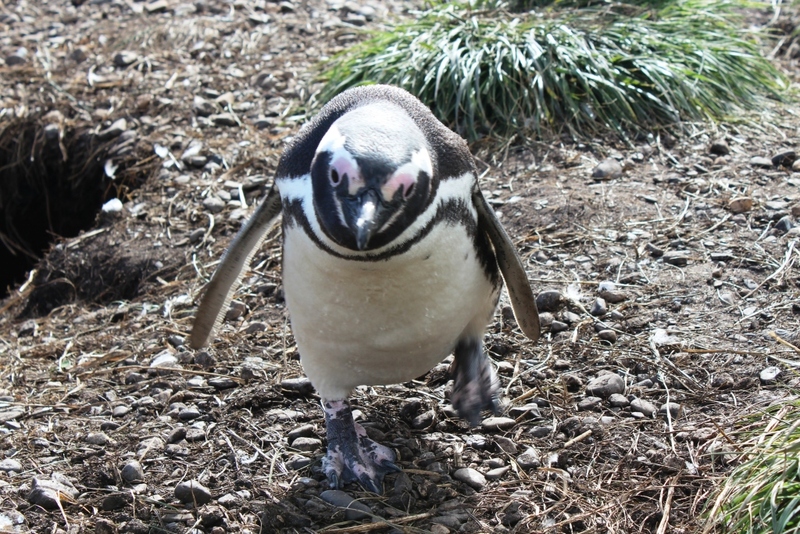 Even the Estancia Harberton website notes them almost in hindsight as a type of penguin that “may visit” “very occasionally”. 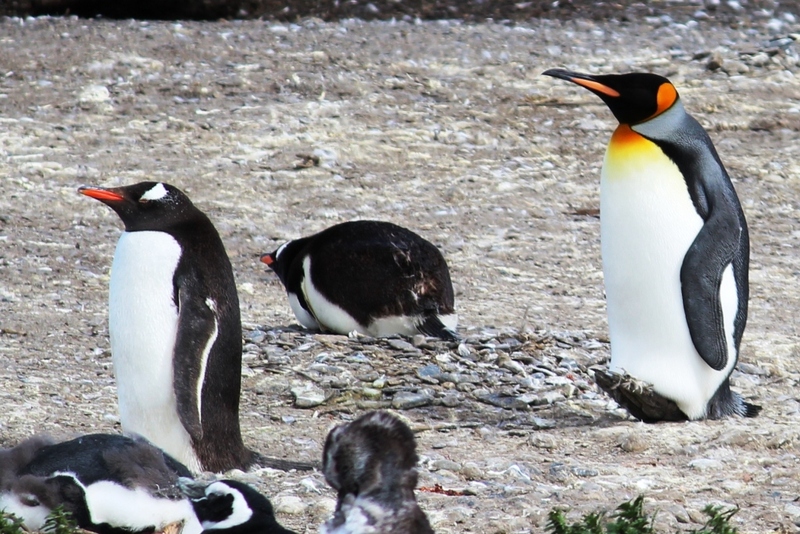 But on that beautiful February afternoon, we had the pleasure of seeing two King penguins, standing above the little guys like accidental mirages or lost masterpieces. They were pristine, not a feather out of place, and the orange spots around their heads seemed almost airbrushed. 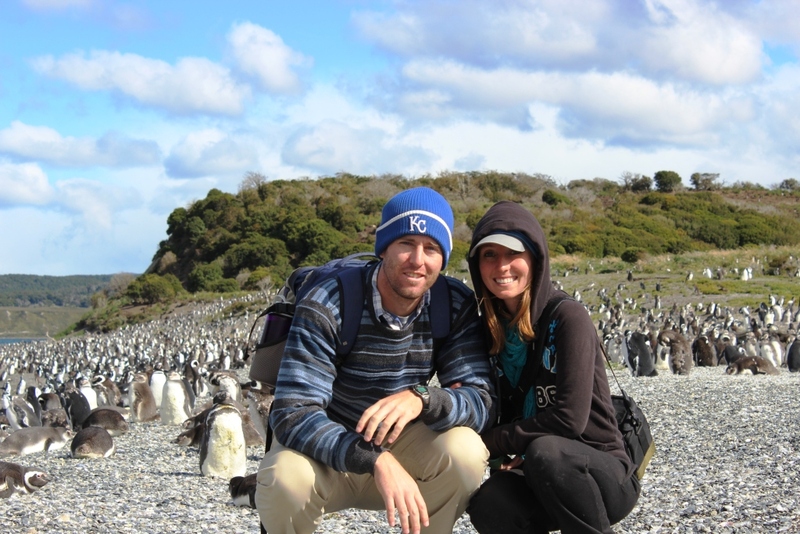 Kings are the second largest species of penguins, and we were just tickled to get to see them in person. Penguins! After an hour on the island – walking, standing, staring, smiling – it was time to go. Reluctantly, we climbed back onto the boat. 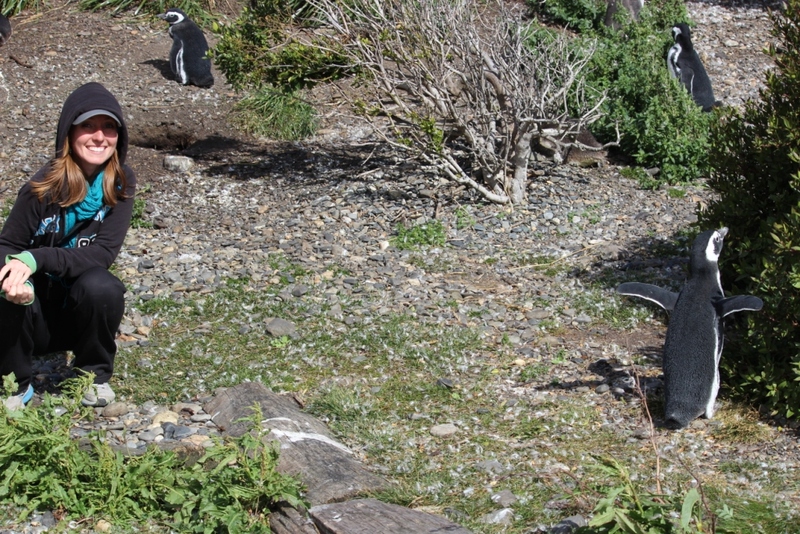 It’s not that I didn’t get enough walking with the penguins, it’s that I didn’t get enough watching of the penguins. I could have sat there all day just marveling at their odd little waddles and contagious giggles. 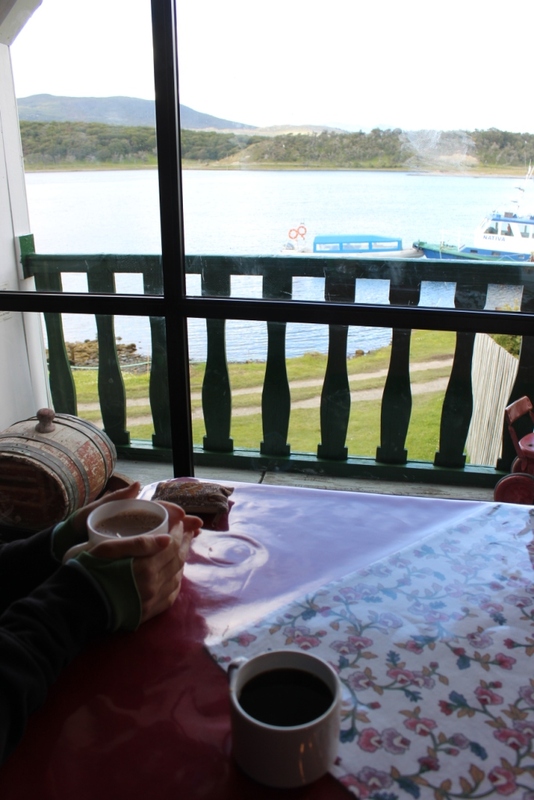 On the mainland, we warmed up with a cup of truly delicious hot cocoa and then ventured on to the Museo Acutushún, a museum and laboratory housing an impressive collection of marine skeletons. We were surprised to find it so engaging (I mean, it had a pretty tough act to follow), but it was actually incredibly interesting. 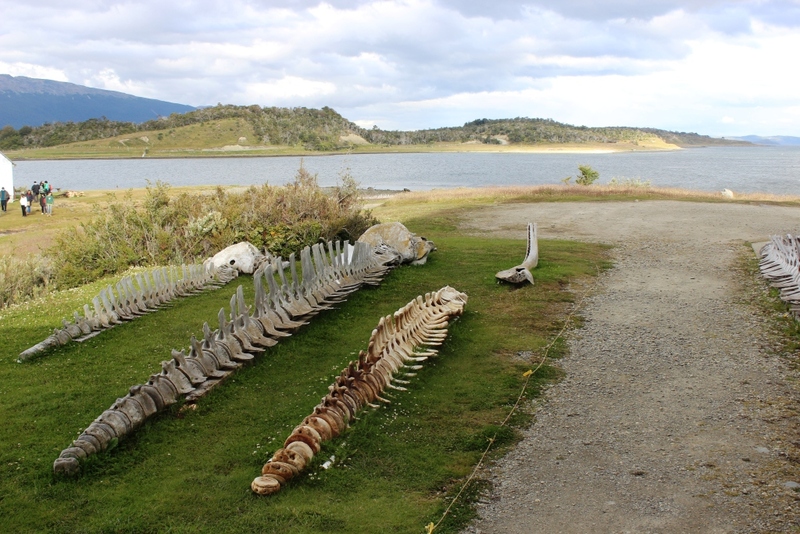 Ten interns live and work at the lab/museum, and one who had arrived only a week prior, a young Spanish woman, walked us through the most notable pieces and into the horridly smelling bones building where her colleagues were cutting flesh away from the skeletons of decade old specimens that had been found dead on neighboring coasts. Honestly intriguing. You’re here for the live penguins though, I know. If you have read this far, I am touched, but without further ado, here are our penguin pictures and a compilation of our favorite videos. It was a truly fantastic outing, and a special experience for us both. It looks like you were/are very close to Bahia Bustamante, the former seaweed processing “plant” now sheep farm, where I stayed a few years ago. 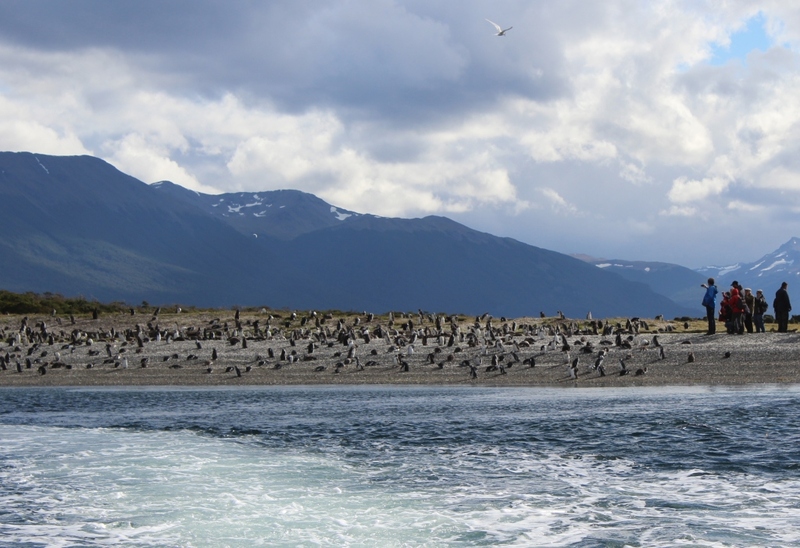 We took a boat out to an island of penguins and the topography looks the same. If not, you are certainly enjoying the same sight of the very entertaining penguins! What a magical place! What a neat experience that had to be for you. They are so cute and fun to watch. Nice of you to be careful not to intrude too much an their life. Big smiles. Lots of them. I would agree that I could sit and watch them for hours. 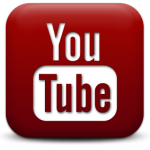 Your clips were incredible. I especially enjoyed the two hopping the log and the way they start to swim. Dad and I enjoyed it together, thank you for sharing. 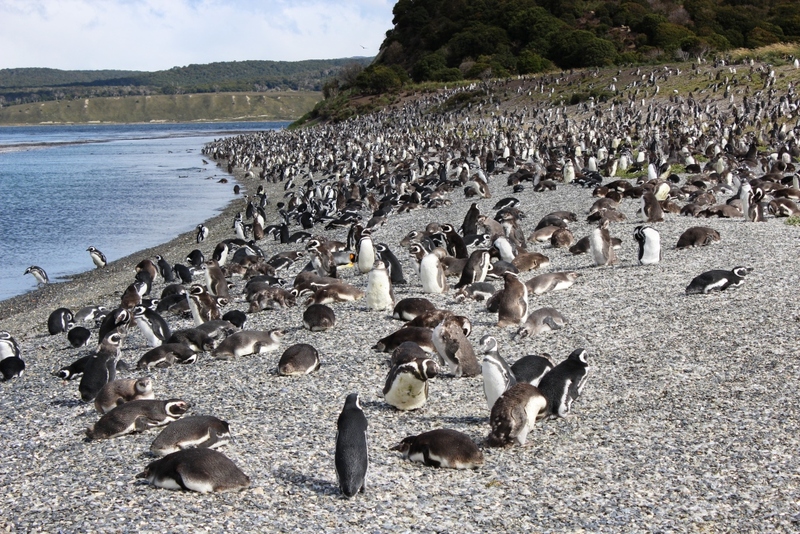 That’s a lot of penguins!